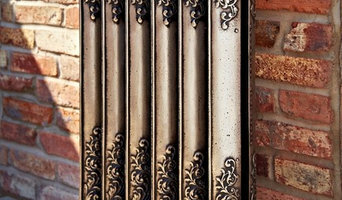 Ribble Radiators is the online arm of Ribble Reclamation which was founded in 1980 as a small landscaping company and has grown into Lancashire’s biggest and best architectural salvage yard with a large and constantly changing stock of reclaimed materials and unique items. What started out as an interest in beautifully ornate cast iron radiators from years gone by, became an increasingly fervent passion which then developed into the business it is today. We believe this sets us apart from some competitor businesses that have appeared across the UK in recent years. We take pride in having full control of our reclaimed radiator process, using trusted salvage methods and taking each reclaimed radiator on a journey of restoration on our own four-acre site. Alongside the restored radiators we also stock and supply the fantastic range of bespoke Carron radiators. At Ribble Radiators we have been specialising in the restoration of old radiators for the past 20 years. During this period we have perfected our process in order to give you an efficient service that provides fully restored radiator with a great finish. Whether you already have a radiator you would like restoring or are buying one from us the service is exactly the same. We also invite you to come and see our showroom to view for yourself the quality of our work in restoring radiators. Restoring a character radiator requires attention to detail, all our radiators go through the same process to make sure the final product is one you are more than happy with. Property maintenance and building conservation will be important to you if you’ve taken on a period property in Blackley, Greater Manchester that you’d like to restore or at least maintain its period features. 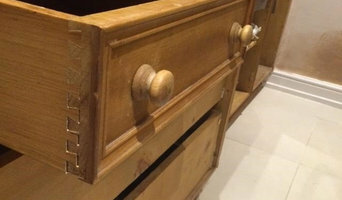 House restoration work needs to be very careful and precise, so it’s really important that you call in a Blackley, Greater Manchester building restoration expert with really good credentials to carry out the work for you. It will be even more important if you live in a conservation area or a listed property where you will be restricted in what you can change. 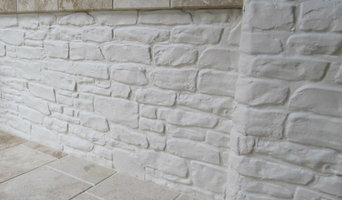 Restorers and building conservation experts in Blackley, Greater Manchester can specialise in certain fields. Whether you need fireplaces, shutters, sash windows, stained glass or brickwork restored or recreated, there’s a Blackley, Greater Manchester period property and restoration specialist who can take on the job. There are also some Blackley, Greater Manchester restoration and property maintenance companies that will offer comprehensive building restoration services, employing plasterers, joiners, stone masons, plumbers and electricians to cover all tasks you need tackling. Why would I want to hire a Blackley, Greater Manchester period property or house restoration specialist? 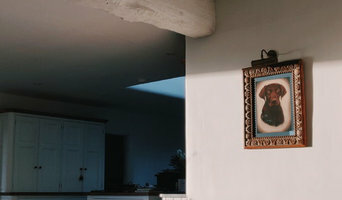 Besides the aesthetic side of period building restoration, it may be the case that without hiring a professional Blackley, Greater Manchester house restoration builder you would literally have to tear down your home and start again because it may be impossible to carry out regular repair work on a very old building. This is certainly true for listed properties or properties in conservation areas where certain changes are restricted and the appearance needs to be preserved. When would I need to hire a Blackley, Greater Manchester period property or restoration specialist? A property maintenance company in Blackley, Greater Manchester will be able to help with all sorts of house restoration, from mould and rot removal to replastering and masonry cleaning, but if you have a period property, check that they are experienced with period and historic buildings first. For larger structural work, perhaps if you’re completely renovating a dilapidated building, look for Blackley, Greater Manchester building restoration companies that can source original, or very close to original, materials to match the ones used in your home currently. Brick and stone matching, lime repointing, and roof and gable replacements can all be achievable and effective when done by the experts. Find period property and restoration specialists on Houzz. Narrow your search for Blackley, Greater Manchester restoration professionals by entering your nearest city or postcode. Look at portfolio and product photos, and read reviews to find the best building restoration professionals for your home.